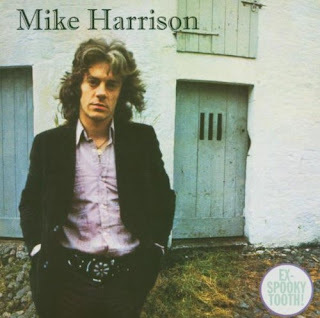 That Devil Music: Spooky Tooth’s Mike Harrison, R.I.P. According to the BBC, British rock legend Mike Harrison passed away of unreported causes on Sunday, March 25th, 2018; Harrison was 72 years old. Harrison is best known as the voice of revered ‘70s-era rockers Spooky Tooth, the band he co-founded with guitarist Luther Grosvenor, bassist Greg Ridley, and drummer Mike Kellie. The four were originally in a band called The V.I.P.s, the band including future superstar Keith Emerson. When Emerson left to pursue fame and fortune, they changed their name to Art. As Art, the band released a single album in 1967 titled Supernatural Fairy Tales. 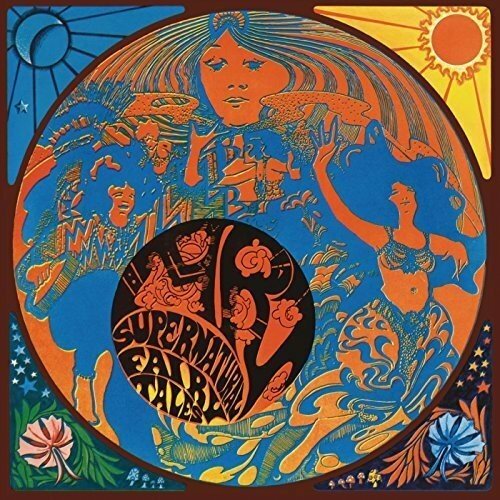 Released by Chris Blackwell’s Island Records label, the album’s sales were mediocre at the time but it has since been reconsidered as a psychedelic-era classic, and notable for its Hapshash & the Coloured Coast cover design. Blackwell was supportive of the band, and urged them to add American singer, songwriter, and keyboardist Gary Wright to the line-up, at which time they changed their name again to Spooky Tooth. 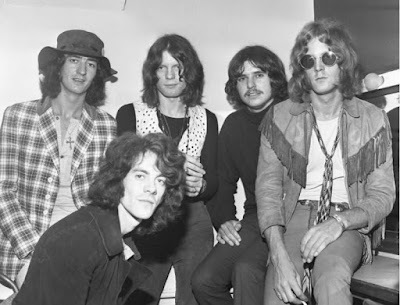 Spooky Tooth released four critically-acclaimed albums between 1968 and 1970, and enjoyed a modicum of success with 1969’s Spooky Two, which was fueled by FM radio hits in “I’ve Got Enough Heartaches” and “Hangman, Hang My Shell On A Tree.” At Wright’s insistence, the band recorded a 1970 album, Ceremony, with French electronic composer Pierre Henry; after its release, Wright left the band for a solo career. After the release of 1970’s The Last Puff (credited to Spooky Tooth featuring Mike Harrison), the band broke up for the first time. Harrison pursued a solo career with the 1971 release of his self-titled debut, the singer backed by a band from his hometown of Carlisle, Junkyard Angel, which included his former V.I.P.s bandmate, guitarist Frank Kenyon. A second solo album, titled Smokestack Lightning, was recorded at the Muscle Shoals Sound studio in Alabama with the Muscle Shoals Rhythm Section and released in 1972. Not much happened commercially with either album, prompting Harrison to re-form Spooky Tooth to record 1973’s You Broke My Heart So…I Busted Your Jaw. Wright returned to the band while Luther Grosvenor – who had joined Mott the Hoople (as ‘Ariel Bender’) was replaced by future Foreigner guitarist Mick Jones; Ridley and Kellie were also gone, the bassist to Humble Pie and the drummer to the Only Ones. Spooky Tooth released one more album with Harrison, Witness, in late 1973, after which time Harrison left the band once again, Wright and Spooky Tooth later releasing The Mirror in 1974 with singer Mike Patto on the microphone. Harrison released his third solo album, Rainbow Rider, in 1975, but when he allegedly discovered that Island Records was taking royalties from his solo work and applying the money towards debts owed by his former band, he retired from music for nearly 25 years, reportedly working in a warehouse in Canada and various other odd jobs like bartender and milk man. In 1999, Harrison decided to inch back into the world of music, which resulted in a reunion with Grosvenor, Ridley, and Kellie and the release of the underrated Cross Purpose album under the Spooky Tooth name. Around the same time, the Hamburg Blues Band offered Harrison a monthly gig singing with the band, which yielded the 2001 album Touch, which featured lyrics by Pete Brown, longtime songwriting partner of Cream’s Jack Bruce. Harrison reunited with Wright and Kellie in 2004 (Ridley had passed away in 2003) as Spooky Tooth, their short tour documented by the 2007 concert DVD Nomad Poets. Harrison released his fourth and final solo album, 2006’s Late Starter, the album recorded with members of the Hamburg Blues Band and, along with Wright, he was still touring as Spooky Tooth as late as 2009. Harrison’s contributions to British rock history are unassailable; although often overshadowed in the band by Wright, he was nevertheless a soulful singer that imbued both his solo work and that band’s songs with powerful emotion and no little nuance. His 1970s-era solo albums have withstood the test of time, and Spooky Tooth’s hard rockin’ proggish sound influenced bands like Blodwyn Pig, Patto, Marillion, and Kansas while providing battle-tested veteran musicians to outfits like Humble Pie, Mott the Hoople, Widowmaker, and Foreigner. Harrison never received anywhere near the accolades he deserved, dying in relative obscurity when he should be considered as a rock ‘n’ roll legend.